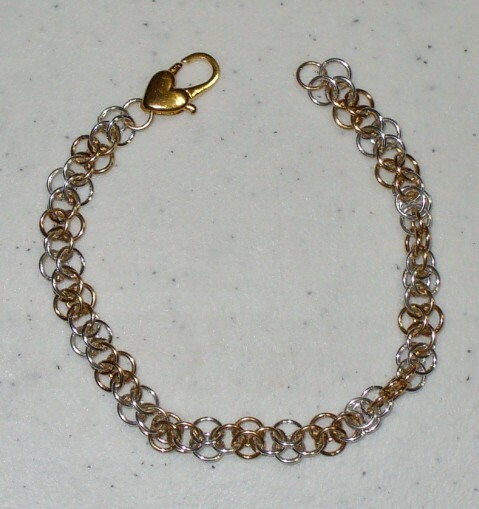 The Olympus Bracelet is a light and airy bracelet. It is available in sterling silver, yellow gold filled or a two tone combination. The two tone combination is the best one to learn the weave, but it is your choice. This is an intermediate weave. The clasp is not included in the kit.